Broad Studios teamed up with Thirsty Planet to launch their new collaborative campaign, Brite Tank, featuring artists, musicians and makers around Austin, TX. 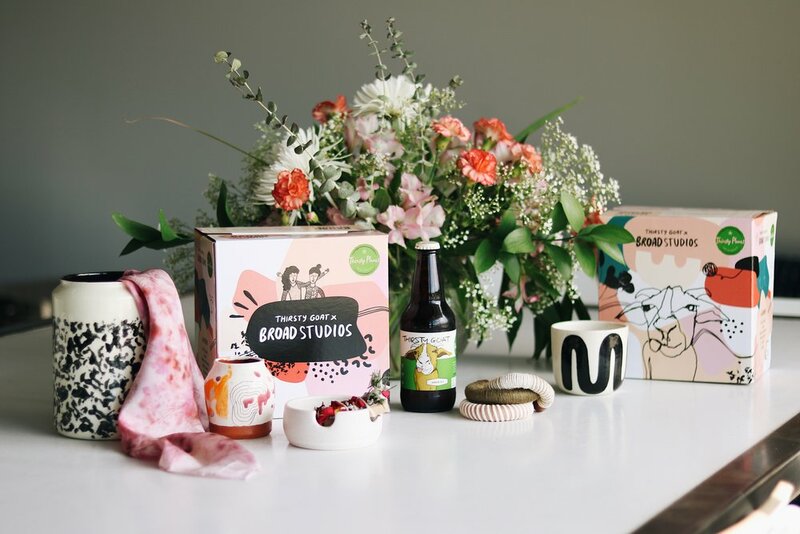 We worked together to craft a 6-pack design that emulated the 6 lady makers at Broad Studios. Our design was the official beer during East Austin Studio Tour and was available for purchase in 15+ HEB stores in Austin.